This week PC vendors will start rolling out patches that fix a severe vulnerability found in certain Intel-based business systems, including laptops, making them easier to hack. Intel on Friday released a new notice urging clients to take steps to secure their systems. The chipmaker has also released a downloadable tool that can help IT administrators and users discover whether a machine they own has the vulnerability. In addition, vendors including Fujitsu, HP, and Lenovo have released lists showing which products are affected and when the patches will roll out. The products include laptops from Lenovo's ThinkPad line and HP's EliteBook series, along with servers, and desktops. Some of the patches are slated to come in June. Computers running enterprise management features found in Intel-based firmware from the past eight years will have the bug. Specifically, the vulnerability resides in past versions of Intel Active Management Technology, Intel Small Business Technology, and Intel Standard Manageability. Fortunately, the vulnerability can only be exploited if these features have been enabled, according to security firm Embedi, which uncovered the bug. These enterprise features were designed to help businesses remotely manage, track and repair huge fleets of connected computers, including retail checkout systems, digital signs, and PCs. 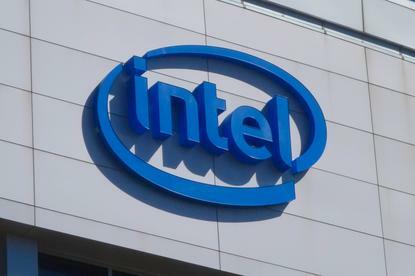 However, Intel’s firmware bug could allow a hacker to take over the PCs and devices that use these remote management technologies, the chipmaker said. In March, Intel learned about the vulnerability from a researcher at Embedi, a security product provider. On Friday, Embedi released more technical details about the Intel firmware bug, saying it could be exploited to remotely control a machine’s mouse and keyboard and even turn the computer on or off. “Which means, you can remotely load, execute any program to the target system,” Embedi said. The vulnerability also bypasses the machine’s authentication processes, so no knowledge of the password is needed, Embedi said. Until the patch becomes available, Intel is recommending users manually apply temporary fixes to address the threat. Users can also contact Intel’s customer support.